Las Vegas based Entertainment Company i.e. 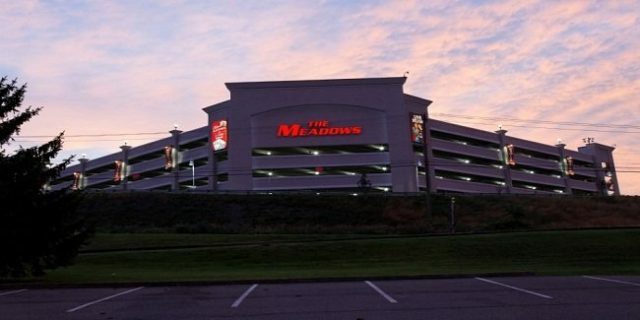 Pinnacle Entertainment has the rights to operate The Meadows casino. Pinnacle took over the casino from Cannery Casino Resorts in North Strabane a month ago and now the vice president of the company Mr. Rodney Centers wants to reorganize the casino to fulfill the people’s best wishes of gambling. Centers thinks that there are a lot of work to be done to change the endevour of the casino place to attract more people and visitors, who want to gamble here and in addition to this he wants to install some slot machines, a few table games to the casino and to upgrade the existing restaurants. According to the agreement Pinnacle Entertainment took over the casino’s operation for 10 years, whereas GLPI will own the real estate property. Pinnacle spent at least $138 Million to grab the gaming license for the casino, while the real estate owned company (GLPI) paid an amount of $440 Million to grab the property. Centers said that, just in one month of time from the agreement Pinnacle has already made an investment of amount $2 Million to the venue and will spend more. He also said that even I don’t know about the number or proper figure of investment, but I want to ensure that it will be substantial. The bulk of the money will be invested on new slot machines and on digital games, he said. Mr. Centers also stated about table games side, by saying that “there is plenty of work to do in table games sector” and we are going to check this out. He said that we are going to make some changes at our gambling floor so that it looks great and to make it more convenient for table games. Pinnacle is also looking to offer new loyalty program for player, which includes free trips, Mercedes-Benz and a share of company stock. The vice president of the casino hopes that everything would be great and the new casino place will offer a lot of things to the people visiting here.